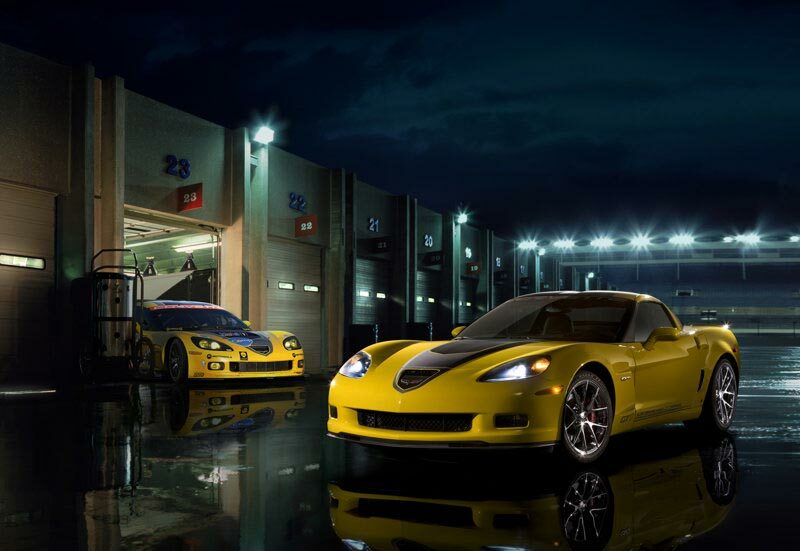 To commemorate over 70 victories and eight championships for the Corvette GT1 racing program in the American Le Mans Series, Chevrolet is producing a limited GT1 Championship edition Vette for the streets. But if you think this GT1 will get you any closer to the lap times of the race-prepped C6.R over a stock Vette, you are in for a disappointment. 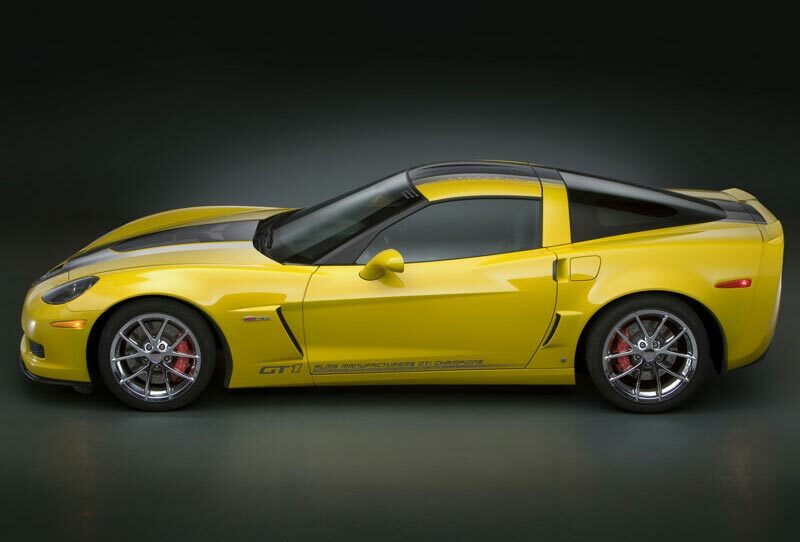 The championship package is nothing more than a trim and appearance option. 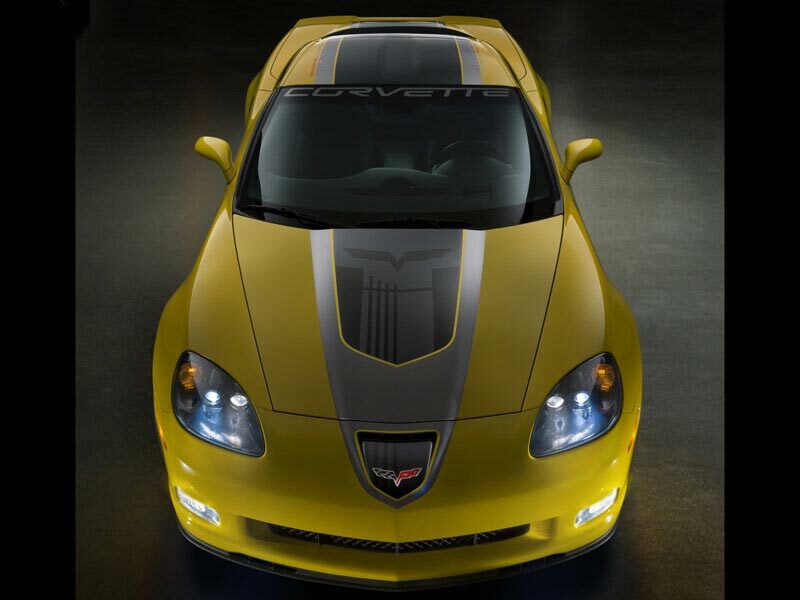 On the exterior, C6.R-inspired graphics will lay atop your choice of Black or Velocity Yellow paint, the latter complemented by black headlight surrounds. 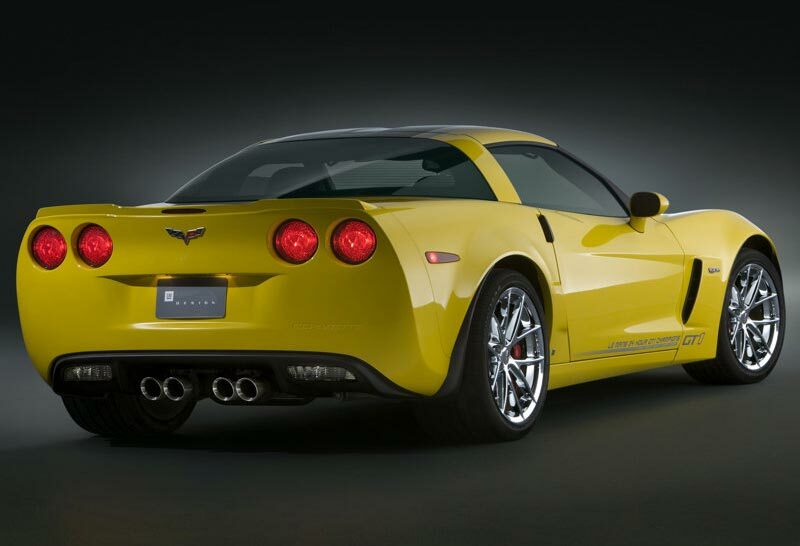 Chrome wheels and a ZR1-style spoiler are also included. Inside, yellow stitching accents the ebony leather and GT1 emblems can be found on the seats, instrument panel, and center armrest. 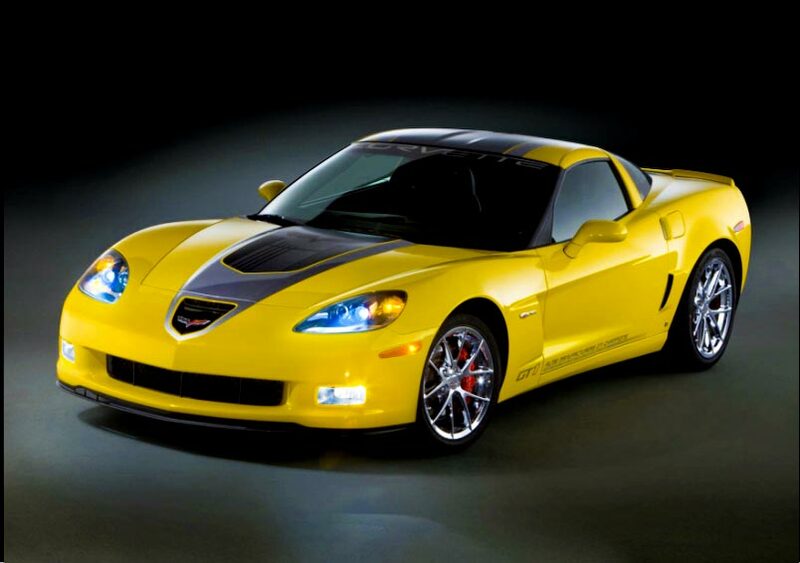 Under the hood, a special carbon pattern engine cover with yellow Corvette lettering will nicely accent the owner-installed windshield banner. Gold chains are not included.